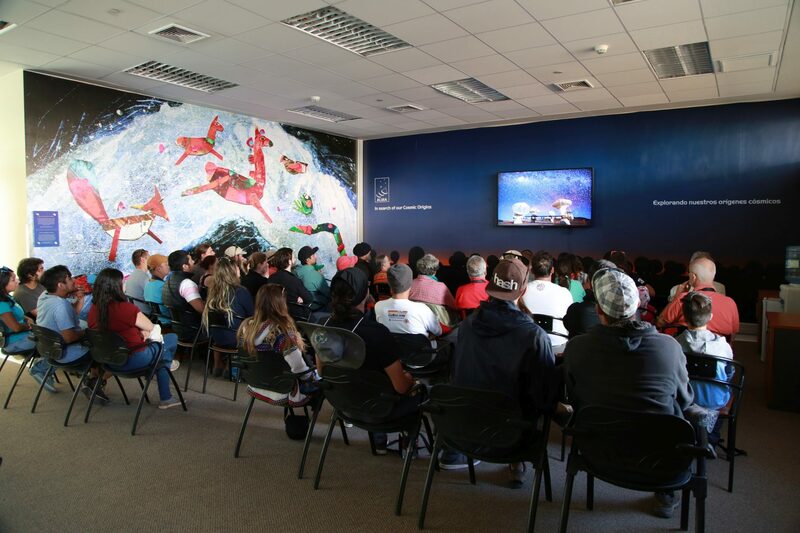 ALMA is open every Saturday and Sunday morning to members of the public who want to visit its facilities located in northern Chile (50 km from San Pedro de Atacama). Visitors must register in advance by completing and submitting the form. 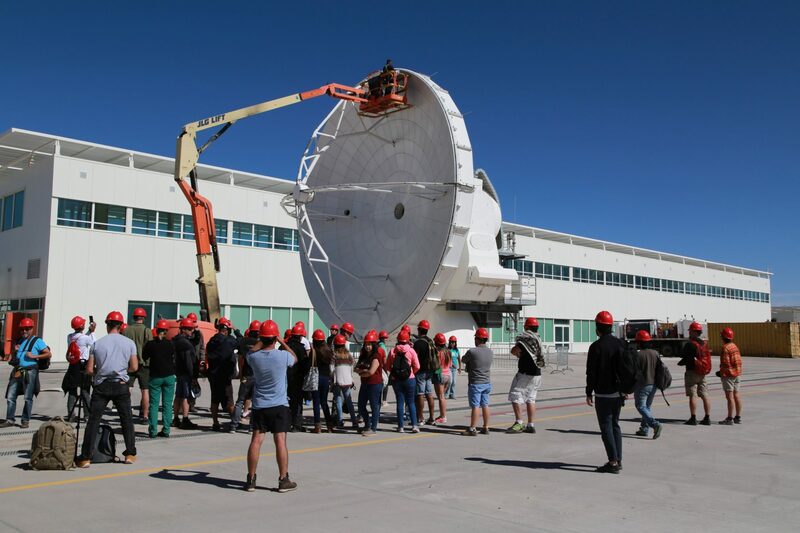 Only those who are registered in advance may visit the ALMA Operations Support Facility (OSF), where ALMA personnel work and where visitors can observe the control room, laboratories and usually antennas under maintenance and the antenna transporter. For safety reasons, operations on the Chajnantor Plateau (the Array Operations Site, or AOS, where the antennas are located) are not open to visitors, due to the location at 5,000 meters above sea level. For more information and registration, please visit the Joint ALMA Observatory’s webpage. An ALMA antenna under maintenance at the ALMA OSF.